Introducing the web3 platform for unstoppable applications: resistant to trackers, hackers, gatekeepers and censors. Mainframe is the platform for decentralized applications. Resistant to censorship, surveillance, and disruption, the Mainframe network enables any application to send data, store files, manage payments, run tasks, and more. With the exception of a catastrophic asteroid event or an aggressive alien invasion, the Mainframe network is simply unstoppable. We build with five fundamental principles as our guide. Encryption – All communication on the Mainframe protocol will utilize the most reliable standards in end-to-end encryption. No outside party, whether government, corporate, or rogue hacker, will have access to your data. Dark Routing – The network is built from the ground up to frustrate any attempt at tracking the path data packets take. Identifying or monitoring even the existence of communication between parties is effectively impossible. Incentivization – With token incentivization, Mainframe can adapt as a vibrant, active, living network. The token economy incentivizes each node to provide bandwidth for packet relay and storage, data services, file storage. and more. Each node’s creditworthiness is constantly tracked. Interoperability – The Mainframe protocol will be available to any app, network, or blockchain that requires truly private communication services. SDKs and other tools for interoperability will be deployed based on community needs. Our tools for secure messaging will reach across blockchains with smart contract support, including Ethereum, RSK, and Tezos. Decentralized Communication/Dapp Protocols are relatively new to the crypto scene. Obviously browsers such as TOR have allowed for decentralized and private browsing/communicating for general web use and features in some crypto privacy protocols, but Mainframe has really taken these concepts and ran with them. Adopting a lot of aspects that make crypto attractive today including Encryption, Incentivization and Interoperability, Mainframe has built a protocol that allows for a truly decentralized ecosystem where businesses/users can store, communicate, transact, interact and develop by taking full advantage of Mainframes peer-to-peer architecture, allowing for vastly improved redundancy and censorship resistance when compared to centralized solutions such as Slack. Despite our concerns regarding the missing times/dates of certain milestone events, Mainframes Roadmap is incredibly detailed and well structured. Sectioned off into their own smaller roadmaps; Platform Experience, Communications, Storage, Identity and Architecture & Tooling are all featured and look to all conclude around July when the next roadmap update is scheduled (Not sure whether this was supposed to be July of 2018 or 2019). We’d love to see some estimates on when these milestones are expected to be completed but their Github is extremely active and the Team are pretty approachable from what we’ve seen in the Community. Onyx is Mainframes fully functional demo product showcasing what Mainframe is capable at the ground level. Onyx is a fully decentralized workplace messaging tool and is the first application to be built on the Mainframe Network. Onyx is available to download right now. Having a product/solution already operating on the Network is a big plus and to be honest, we’d have had some concerns if Mainframe hadn’t had at least a working prototype to demo the platform. Developing applications that require little to no knowledge about Cryptocurrencies is a sure-fire to attract mainstream adoption and Onyx is a perfect example of a product utilizing everything that makes Decentralized Networks great, while allowing the user to be oblivious to the technology behind it. started Zinch which was later acquired by Chegg. Mick helped Zinch grow to an international, 8-figure revenue-run-rate startup that served millions of students and 800+ colleges & universities worldwide. Plenty of experience in the networking/communication sector and this is absolutely essential to this type of project/model. An enormous amount of engineering and software development experience here. 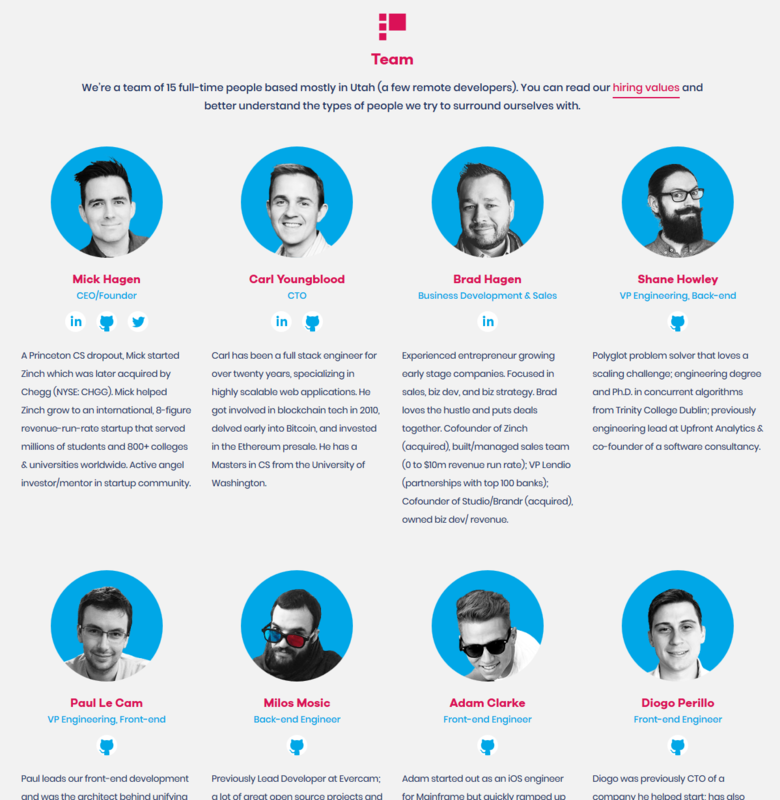 Being one of the first serious movers in this space, Mainframe has some serious ground behind them. Competitors will come along and fight for market share but with this type of business model the first solution to garner adoption will most likely stay in 1st place as long as they stay ahead of the curve. Being a first mover, competitors do have the ability to scout out any potential features Mainframe may be missing and act on these, so it’s important that Mainframe stay one step ahead if they want to keep their piece of the market. It’s too early to say whether Mainframe has a foot in the door but with a very impressive Team behind them we’re confident they’ll stay ahead of the rest for some time. Investors would do well to keep an eye out for any potential competitors over the next few months. We’ve said this about a lot of Communication/Dapp Platforms and we’ll say it again. Plan of adoption is the biggest concern we have with these types of projects. 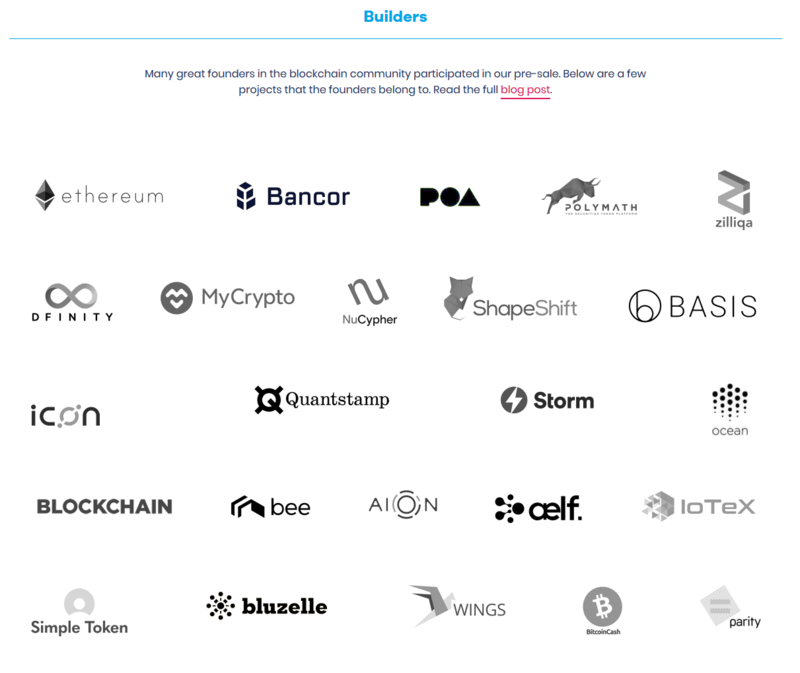 Investors should have a few questions here; How does Mainframe plan to grow, who are they networking with? What sort of progress are they making towards their milestones and what evidence do they provide to show this progress apart from Github commits/releases and finally, how do they plan to compete against already existing protocols/platforms/competitors? We aren’t saying that Mainframe has a big red flag poking up in the air, we’re just throwing a few points out there that the average investor may find concerning. Right now Mainframe comes across as an incredible concept with a stellar Team behind it. Great ideas, well established branding and the ability to advertise and market their product. Execution is where Investors will be looking for potential mistakes/slip-ups in Mainframes business model. Big ideas/projects such as Mainframe have pretty solid hurdles to get over. Competitiveness, not only method of Execution but also the time in which it takes them to execute their plans (Competitors won’t slow down for Mainframe) and Networking Ability. • Competitors – None at this time.